Despite the vast number of hybrids available in everything from tiny, compact, roller skates to gigantic SUVS, the star of the hybrid world is the Prius. It was a big deal when it first launched and it’s still a big deal today. The difference is there are a lot more choices out there today so Toyota needs to keep its current audience and appeal to a new one if it wants to stay at the front of the pack. 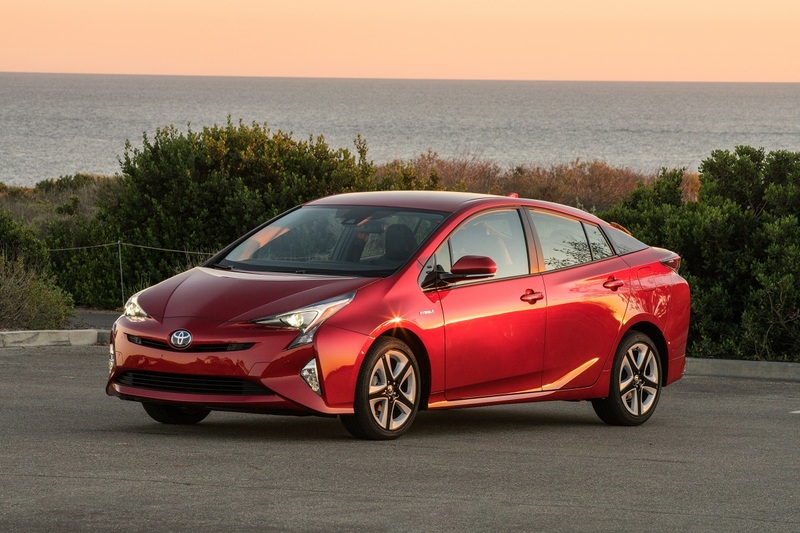 The all-new 2016 Prius aims to maintain that status. 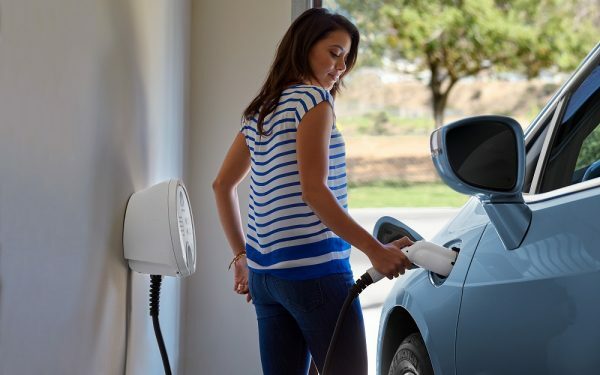 The thing with the Prius is that it’s about more than just driving a fuel efficient hybrid. There’s a certain mystique to this car and it’s one you either love or hate. You love it because it is a symbol of tree-hugging, fuel efficiency and makes its driver better than you in your gas car. Celebrities drive these very everyday cars because it’s the right thing to do from a certain point of view. Then there are those who hate the Prius with a burning passion rivaled only by the fiery pits of hell. They will not drive a Prius. They might drive a hybrid, but they don’t want the unmistakable profile that identifies them as a hybrid driver nor the associated attitude. How does Toyota woo both of those groups? They do it by giving the Prius an update that keeps it distinctly a Prius in its looks, but one that’s edgier. 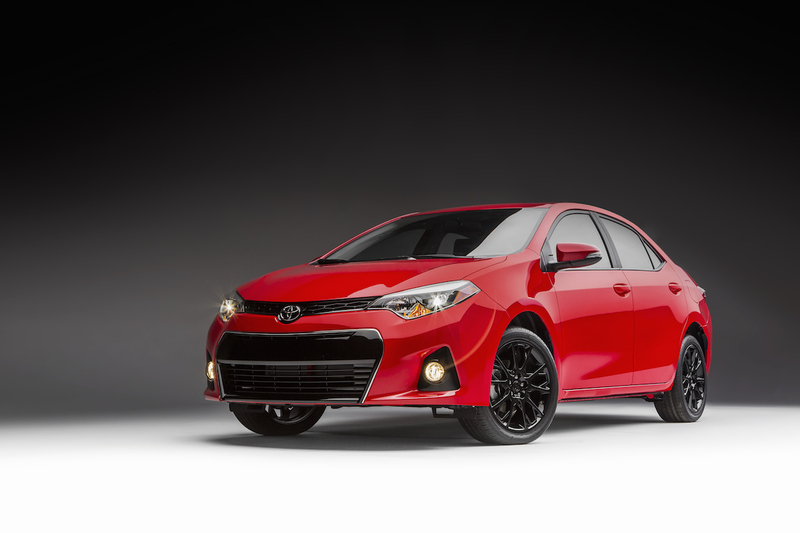 They also do it by adding new safety features, improving the suspension, and improving the fuel economy. That Prius rear end is still there, but it’s tweaked to a more modern, less boxy style. The car is longer, lower, and wider than the last generation and has the lowest coefficient of drag of any production passenger car. There are new standard Bi-LED headlamps with automatic leveling that keep them focused on the road and help prevent blinding oncoming vehicles. The once very squared-off rear end has more angles and a larger rear door glass to improve the view. The rear view is noticeably better, but the split-window design still takes some getting used to if you’re new to the Prius. Inside the look is still simple, never fussy, even with two screens of information. There’s a 4.2-inch color information display and either a 6.1-inch or 7-inch Entune infotainment screen depending on the trim selected. AM/FM/CD with six speakers, auxiliary jack, USB port, hands-free capability, streaming Bluetooth audio, Siri Eyes Free, and a backup camera are standard on base models. Higher trims get that larger screen, navigation, HD Radio, SiriusXM, and an optional premium JBL audio system with 10 GreenEdge speakers. There’s even Qi wireless charging to eliminate dangling power cords. 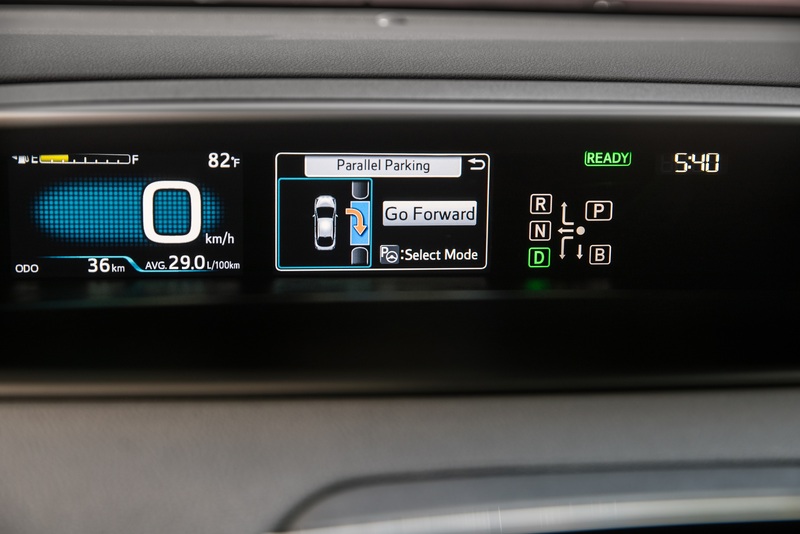 The big safety addition is Toyota Safety Sense which includes pre-collision braking with pedestrian detection, lane departure alert with steering assist, automatic high beams, and dynamic radar cruise control that can bring the Prius all the way down to a full stop. Rounding out the new technology is Intelligent Park Assist which can steer the car into both perpendicular and parallel parking spaces. Trying out the parking features, the parallel park left us further from the curb than expected although we were well within the allotted space. Perpendicular park didn’t fare quite as well, pulling very close on the passenger side so it was too tight to exit the car. It also found an empty space and started to backup, but there was already a motorcycle in the spot. We eventually hit the brakes since it didn’t seem to see the bike. Toyota also let us take the Prius on an autocross course. Yes, we were surprised, too, but they had both the 2015 and 2016 so that we could really feel the difference made by the new double wishbone rear suspension. That difference was striking. You may never take the Prius on an autocross course, but you will notice improved handling and better control than in previous years. The overall comfort level of the car is better too, with improved seating and a quieter cabin. Power comes from a 1.8-liter 4-cylinder gas engine and two electric motors. 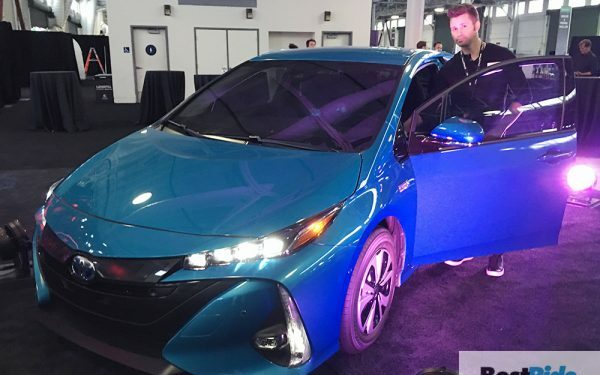 The components are lighter with a new lithium-ion hybrid battery to replace the nickel-metal hybride battery in all but the Prius Two non-Eco model. This smaller battery lets them slide it under the rear seat instead of beneath the luggage compartment so cargo space is greater. It’s quieter, more responsive, and more fuel efficient. EPA numbers have yet to be confirmed, but Toyota anticipates 44 city/50 highway/52 combined. The new Eco model will best that with an expected 58 city/50 highway/56 combined fuel economy. 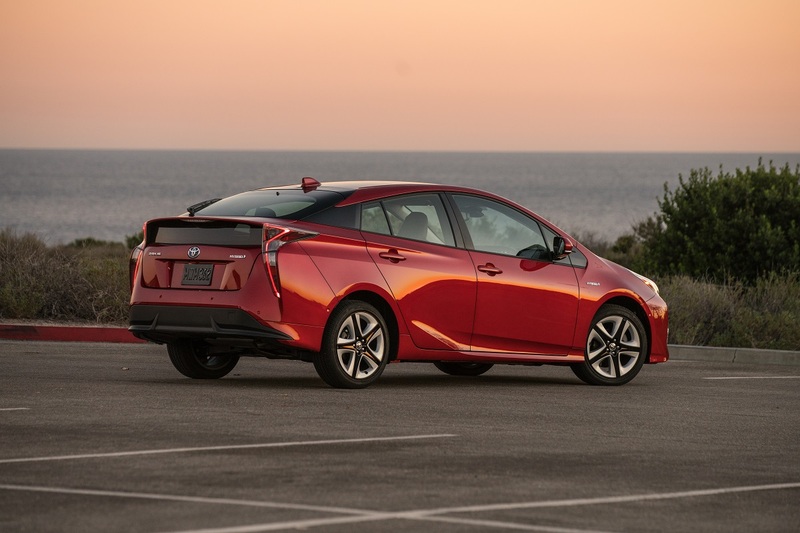 The 2016 Toyota Prius manages to keep its iconic styling, but with an updated look that increases its appeal. Better fuel economy will appeal to everyone and the improved handling makes it a nicer drive experience. 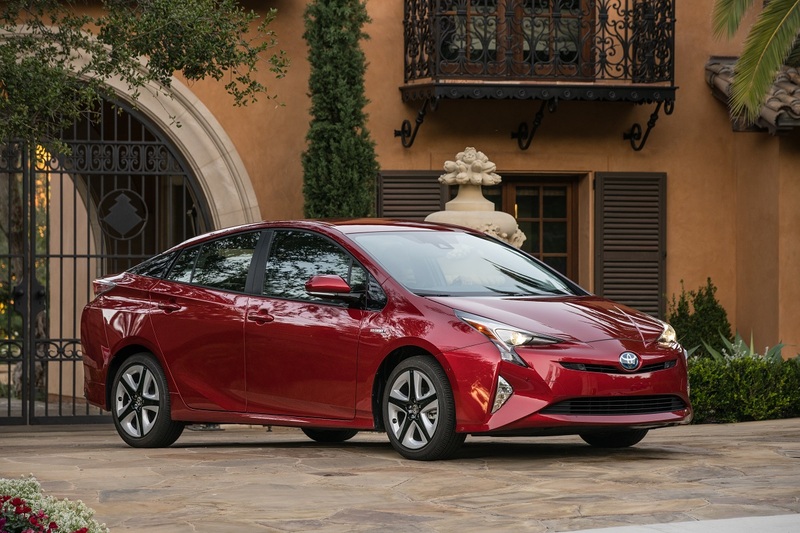 The all-new Prius changes things in the right direction to keep its core fans and maybe even make some new ones.